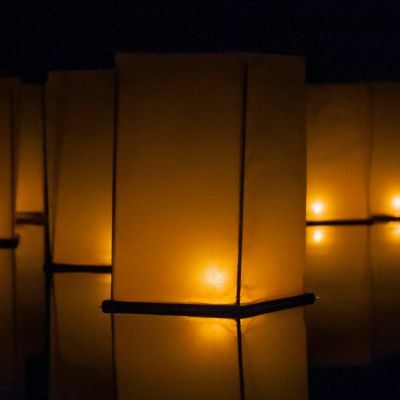 Beautiful floating luminaries or wish lanterns that create a glowing ambience on any pool, fountain, or lake, and adds an elegant touch to walkways and paths. Each lantern is made with a biodegradable bamboo base and flame-retardant white paper, and includes a tea-light candle for illumination. 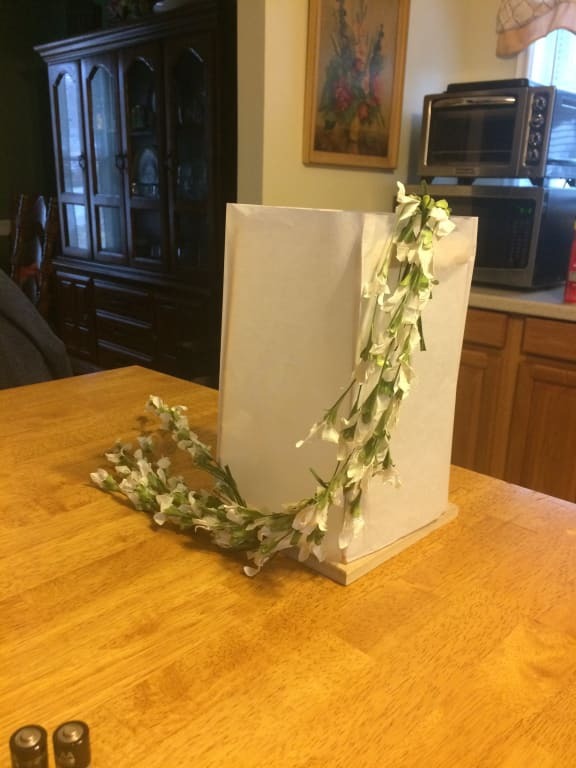 They are easily reusable for multiple events. Each pack contains two lanterns. We used these as centerpieces for our wedding. They were easy to put together. We added flowers around them and they looked beautiful, especially when it grew darker outside and the candle light showed more! By Sel From Orlando, Fl. Quality of lanterns, timing of delivery and staff assistance, very professional. Very satisfied. Used for Annvsry dnnnr decorations in a pool. Nice size and packaging. Nice size and packaging. They are pretty, and a very nice size, and everything is included in the packaging, but the materials are flimsy. Be careful putting them together--don't be too rough with them. The outside is a very thin wax paper. I wish they had been fabric. I feel like once the paper gets wet they may be ruined. But a great idea and an extremely good price. Merchant Response: We appreciate this feedback. The materials are designed to keep the lanterns as light as possible so they float well, and using wax paper instead of fabric allows more light to shine through. This does mean that some care is required when assembling and handling, but we believe the end result delivers a wonderful effect! Exactly what youre looking for. Exactly what youre looking for. By Shane From Austin, TX. Love the product because it comes with everything you need. Easy assembly. Priced fairly. The only issue I had was they converged in one part of the pool and did not float around as much. Would still recommend though. VERY PLEASED WITH THE QUALITY OF THE PRODUCT. VERY PLEASED WITH THE QUALITY OF THE PRODUCT. Bought it for wedding decorations. Really added a wonderful touch to an evening party. Everyone loved them. We used these as table decorations (no access to water) for my daughter's Japanese themed birthday party. They really added a beautiful touch to the tables and were so easy to setup and take down. Would definitely purchase again if the need arose. Pleased with my purchase. Delivered on time. Pleased with my purchase. Delivered on time. Product delivered on time and well packed. Wanted to add a little touch to the pool for an outdoor engagement party. They were so cute! A nice soft light floating around. I already had those little candles with batteries, so I used them instead so they wouldn't blow out or get wet. Very fast, which was great since it was a last minute purchase. Got them in a few days. We used these to set a beautiful background for my daughters engagement. They worked wonderfully and totally changed the look of our pool in the evening light. Instead of using the candles that came with the package we used battery operated tea lights with different colors and it illuminated the pool surface perfectly. It was spectacular! We placed our order and the package arrived in less than a week. Super efficient delivery.